What’s happening this Advent season as we approach Christmas? Fr. Tim Grumbach joins Trending with Timmerie Millington. 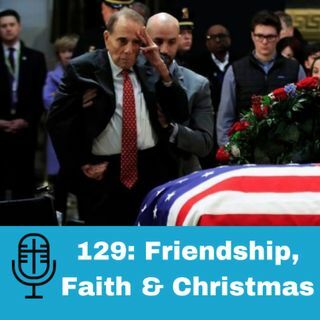 Together they discuss: The incredible friendship and rivalry between Bob Dole and the lately deceased President George H.W. Bush. Why Starbucks, Tumblr, and Amazon all have something in common. Why 58 inmates in Iowa are suing. Why is France burning? What the real crisis in France is all about. Why Baby it’s Cold Outside shouldn’t be banned this Christmas in addition to ... Maggiori informazioni other contraband items this year including: Rudolph, Santa kneeling before Jesus, candy canes, and more. Book Timmerie to Speak at your next event: http://timmerie.com/inquiries-form/Special Guest: Father Tim Grumbach.